A man was attacked in Edgewater Tuesday night when he stopped to catch a Pokemon while playing Pokemon Go. A police report from the victim notes a robbery at 9:30 p.m. Tuesday in Lincoln Police District beat 2023, the area that covers Edgewater Beach. 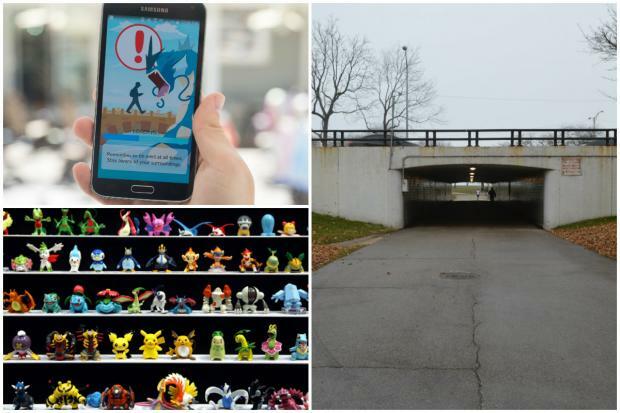 EDGEWATER — A man playing Pokemon Go five minutes from his home was mugged while trying to catch 'em all on the Lakefront Trail in Edgewater, according to police and the victim's partner. "We're just still in shock and terrified," the victim's boyfriend told DNAinfo. Tuesday night, the man took a solo stroll through the park and stopped to catch a Pokemon in a Lake Shore Drive underpass near Foster Beach when three people, described as teenagers, ambushed him, punched him in the face, stole his cellphone and tried to steal his wallet before running away, the man said. Officer Michelle Tannehill, a Chicago Police Department spokeswoman, said around 9:40 p.m. a man was near his home in the 5400 block of North Sheridan Road looking at his phone when three to four robbers tackled the man to the ground before hitting him in the head and torso and running off with his property. The attackers fled west through a tunnel toward Sheridan Road, police said. Both the victim and his partner asked not to be identified. The victim's partner said the two have played the red-hot game together near their lakefront home, but on Tuesday night they had separate plans. After the muggers took the man's cellphone, his partner said they tried to take his wallet, too, but as onlookers began to gather, they ran off. The victim used a witness' cellphone to call 911, his partner said, but after waiting, he decided to leave the scene and return home, where he called 911 again from his boyfriend's phone, and police arrived shortly after. The couple filed a police report. The men went to the emergency room, where the victim was treated for bruises and scratches, as well as X-rayed, but returned home by Wednesday morning, the victim's partner said. The victim's boyfriend said though he hoped "we would be the last" when it came to Pokemon Go-related crimes, he wanted to alert the public that he believed the game "distracted" his boyfriend at an opportune time for thieves — and didn't want to see it happen again. "Some people take advantage of people playing the game and try to attack them while they are distracted on the trail and playing Pokemon," the victim's partner said. "I think one of the big issues right now is the game, because the game makes you want to go out in the middle of the night and making [players] distracted."